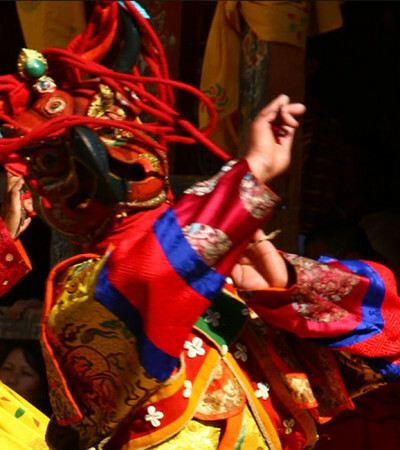 The annual Tshechu is the biggest festival in the southern town of Tsirang. The festival attracts people from all over the region. Several different kinds of mask dances are performed. Local and traditional dances and music add color to the festive mood. The Thongdrol (large tapestry) of Guru Rimpoche is unfurled on the last day of the tshechu.